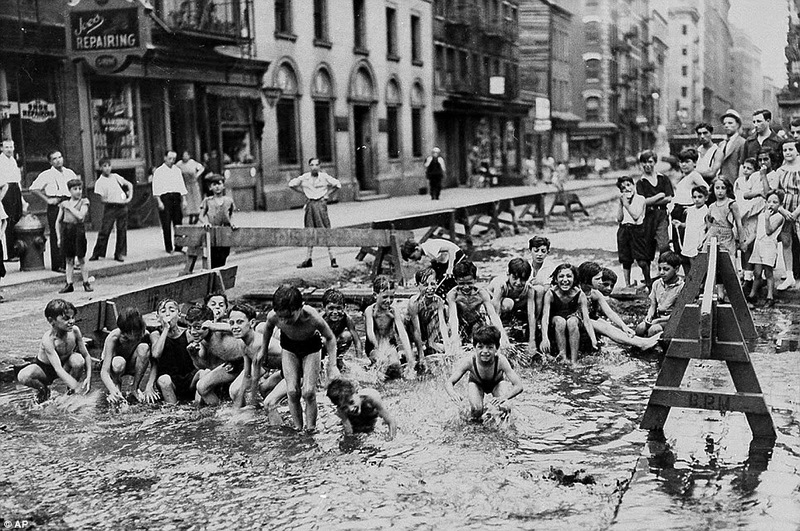 Throwback Thursday "Vintage NYC Summer"
This photo made me think of this really hot summer we have been having. Many of us are so very spoiled (myself included) with air conditioning in our homes. These kids were living in the Lower East Side's tenement buildings, which were so small, creating unbearable heat conditions. I can't even imagine how hard it was for these people, but I imagine, the love of their family got them through it. You can actually find out lots of information regarding the tenements by visiting the Tenement Museum on Orchard Street. They offer tours of the tenement itself, as well as walking tours of the Lower East Side.